Order only what you need, when you need it. Oh yes, that dreaded time of the week… inventory! Stop pulling out your hair and let GoVentory simplify and improve the process. How will you spend those 3 free hours? No wonder GoVentory has been called the “finally-somebody-made-my-job-easier” app! 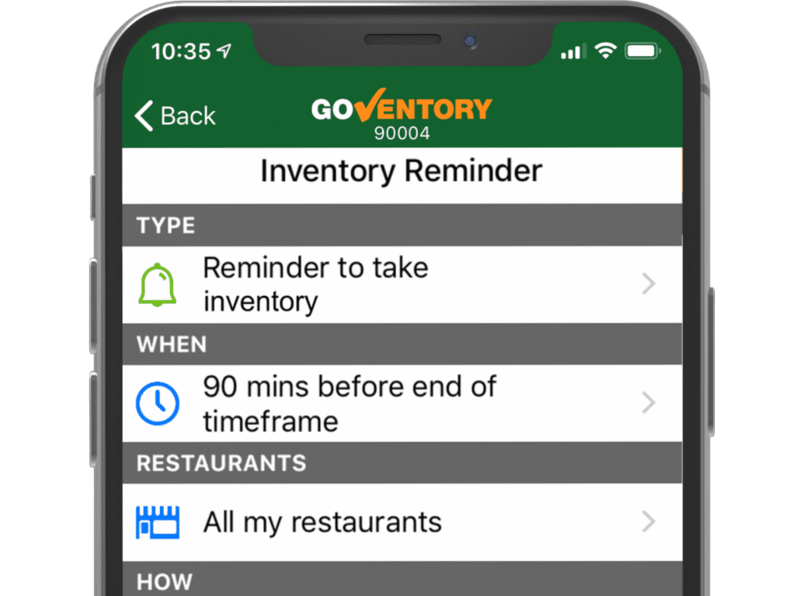 It’s so simple anyone can take your restaurant’s inventory. GoVentory streamlines week-ending inventories, deliveries, and orders. Yes you, with the pencil and clipboard… stop worrying about how much to order. 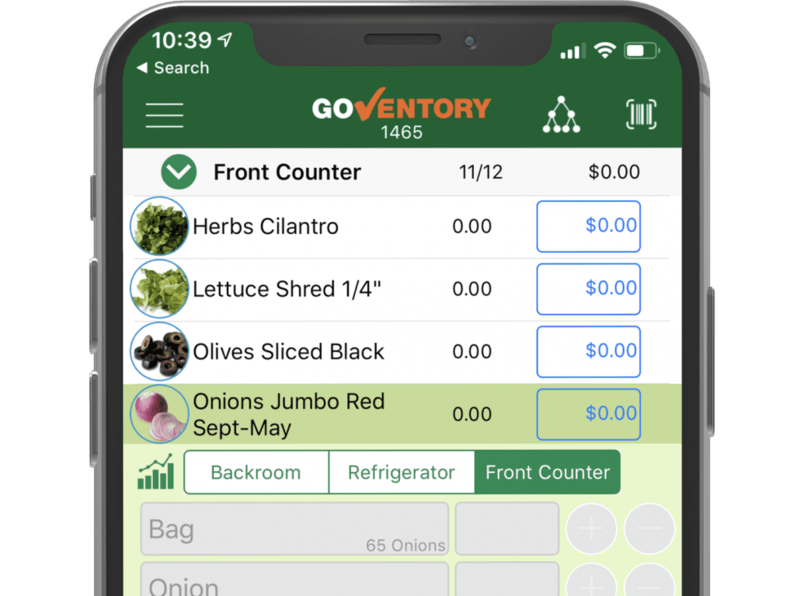 GoVentory tracks units of measure and automatically suggests how much to order. GoVentory keeps you connected. 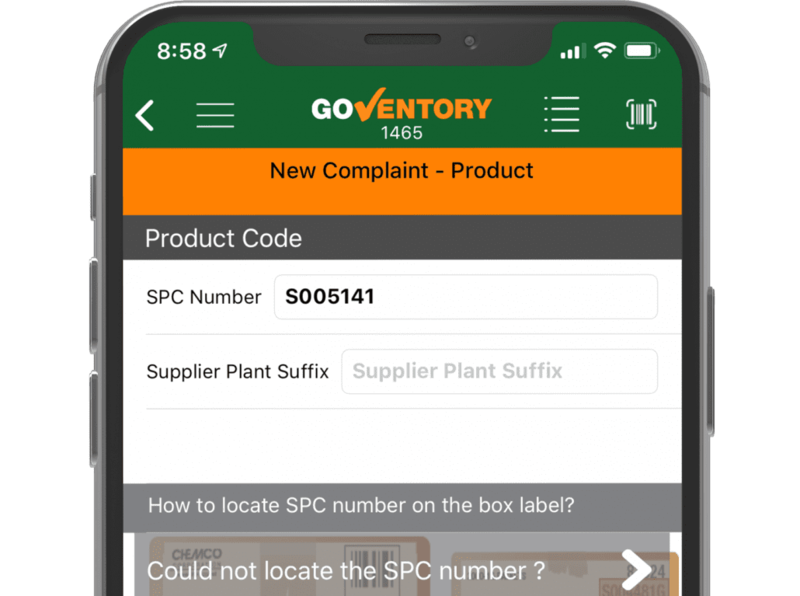 You can submit and receive distributor orders and notifications… or even get updates from those pesky guys at headquarters. This app’s got some true brain power. GoVentory creates and uploads accurate waste and transfer reports. Improved inventory visibility will significantly reduce costs. 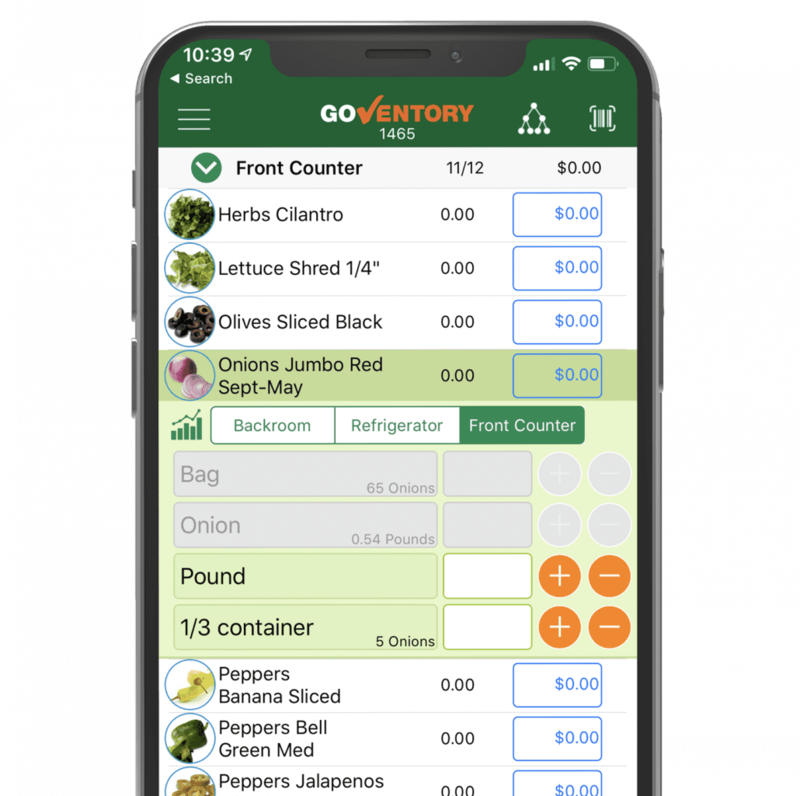 Find a better way to take inventory. Check. 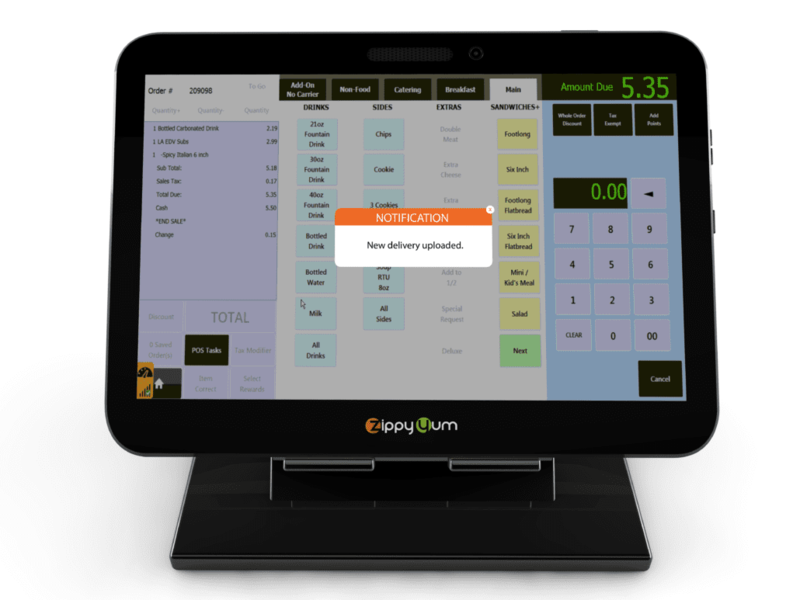 GoVentory’s bread and butter is taking your restaurant’s inventory quickly and accurately. Built in error prevention algorithms help catch mistakes before you make them. 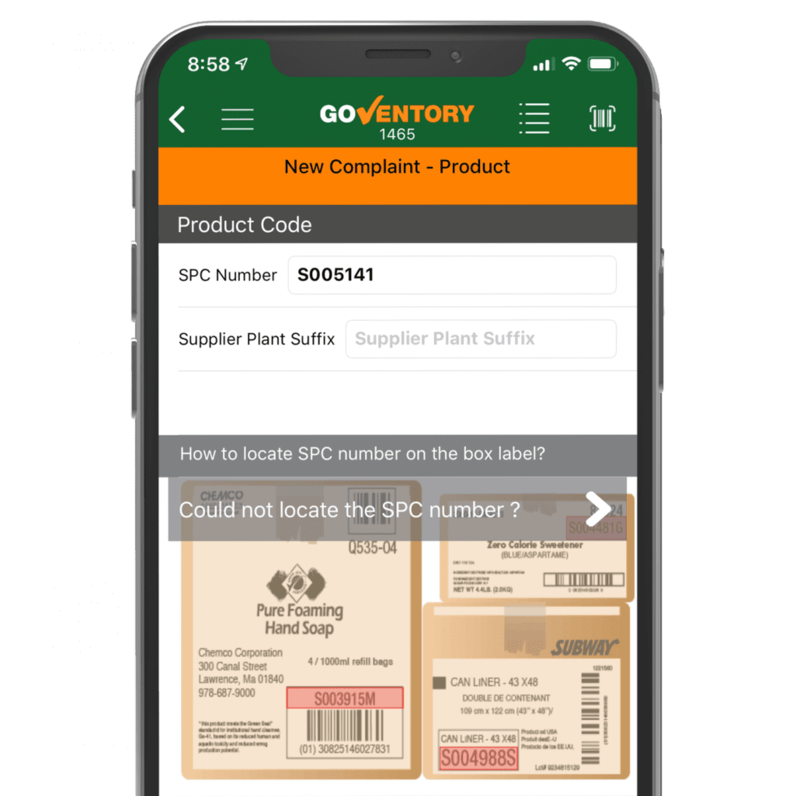 Quickly tap through or scan inventory boxes directly. 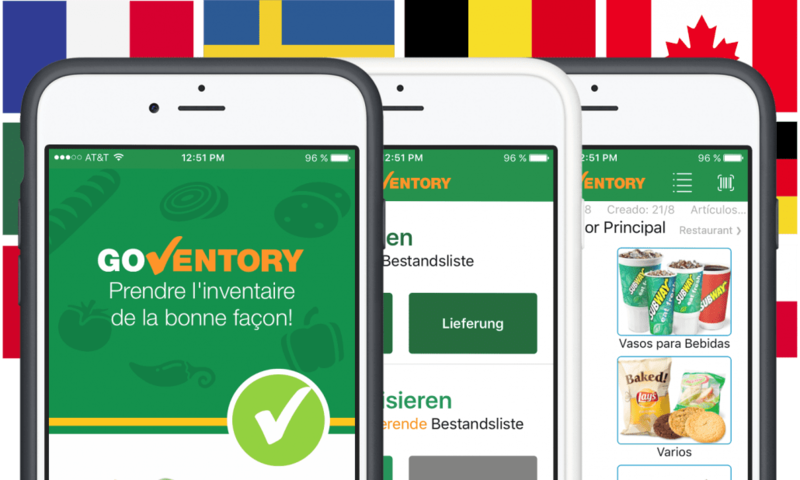 When you’re finished, submit your inventory electronically with one tap. Give those old fingers a rest. Yeah, we’re excited too! 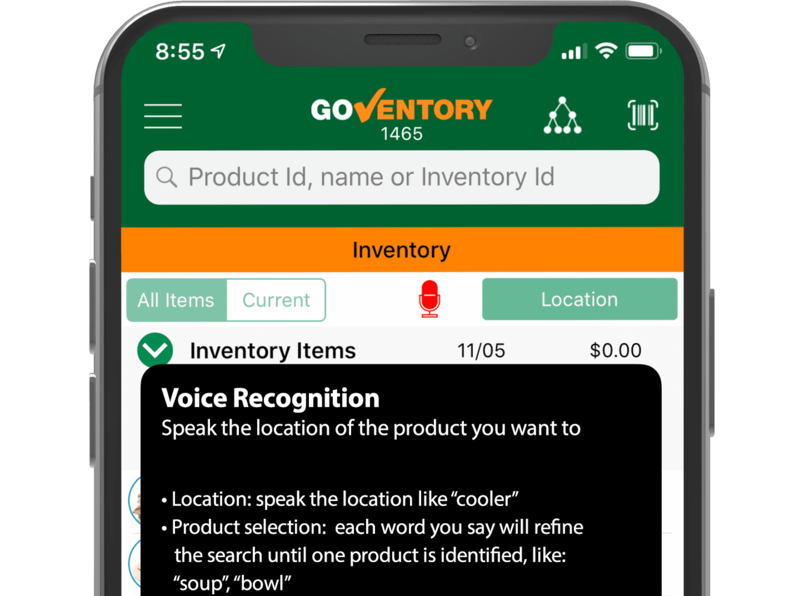 Now you can speak your inventory. 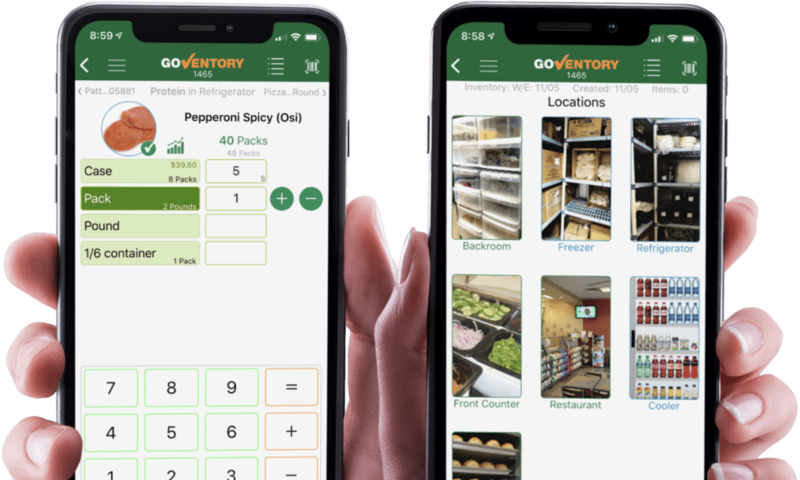 “Freezer… Chicken… Add two cases.” Just tell GoVentory the location, item, and quantity you’re inventorying and you can get inventory done faster than ever. Mic drop. You won’t be needing that solar calculator anymore. Since you’ve been keeping meticulous inventory with GoVentory, the app learns your usage data and patterns. 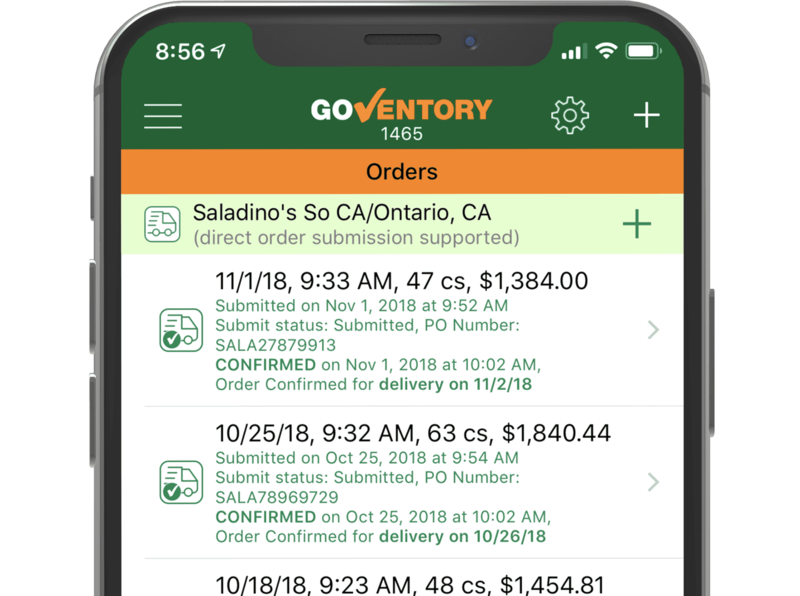 When it’s time to place that weekly distributor order, GoVentory builds your “suggested order” with one tap. One more tap and the order is placed! Safety first! That product’s been withdrawn. Stop with the automated phone messages. 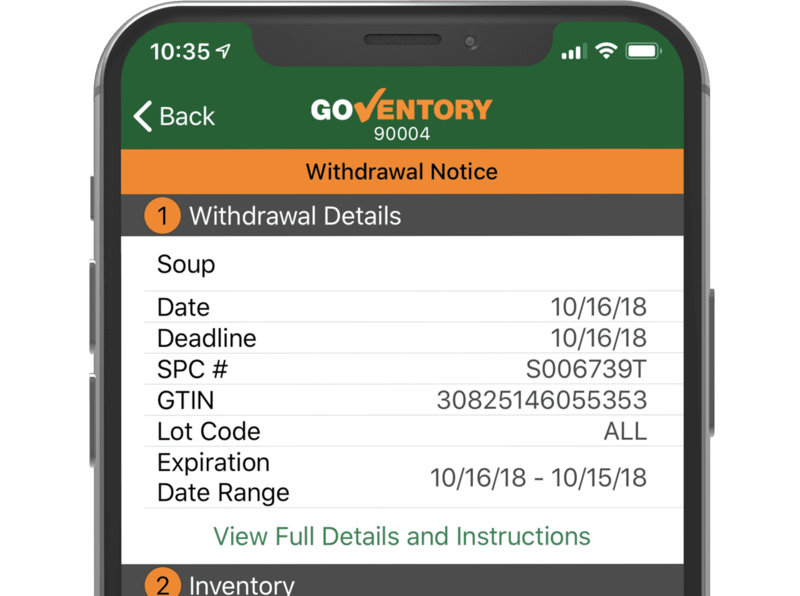 GoVentory is the simplest and most effective way for your distributors to notify you of recalls and withdrawals. GoVentory will alert you if you stock an affected product and ask you to re-scan lot codes so you don’t serve any bad product. Feast on all these extra features. 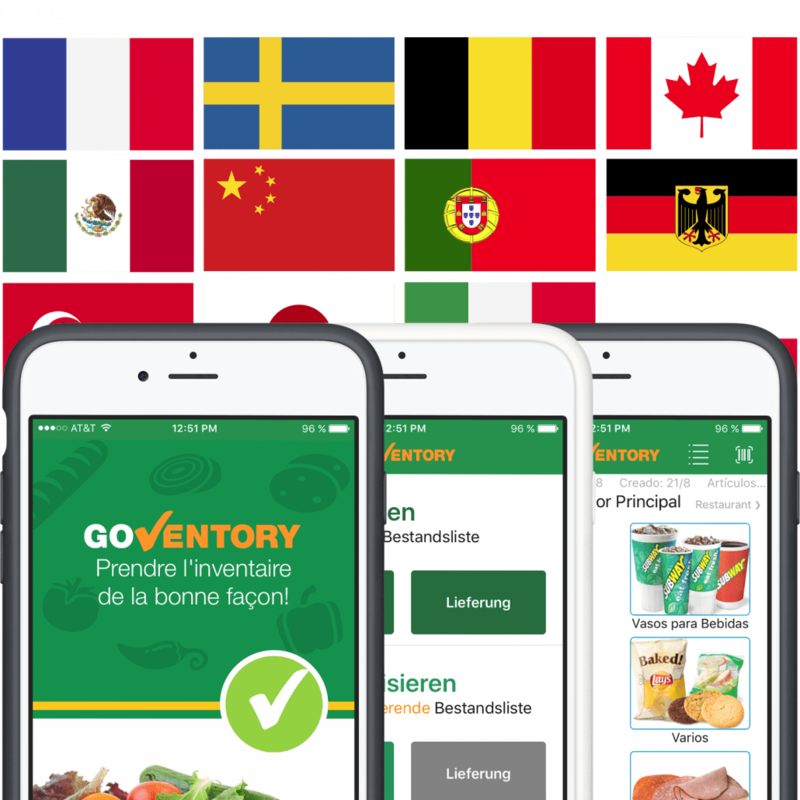 GoVentory allows multiple users to split up an inventory and merges the data into one session. Now you can inventory that front counter while Susan handles the walk-in. Its time to divide, conquer, and get that inventory done with. 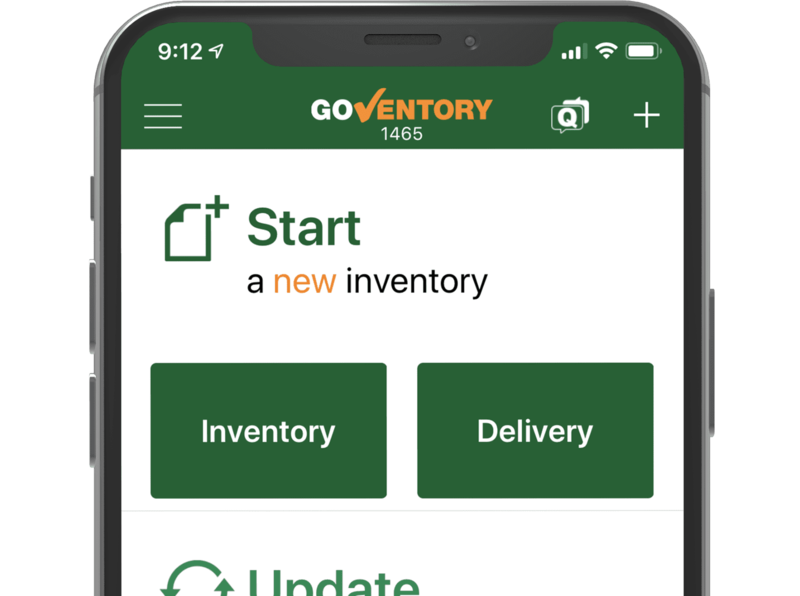 Quickly scan boxes to inventory them during a week-ending inventory or delivery with GoVentory. 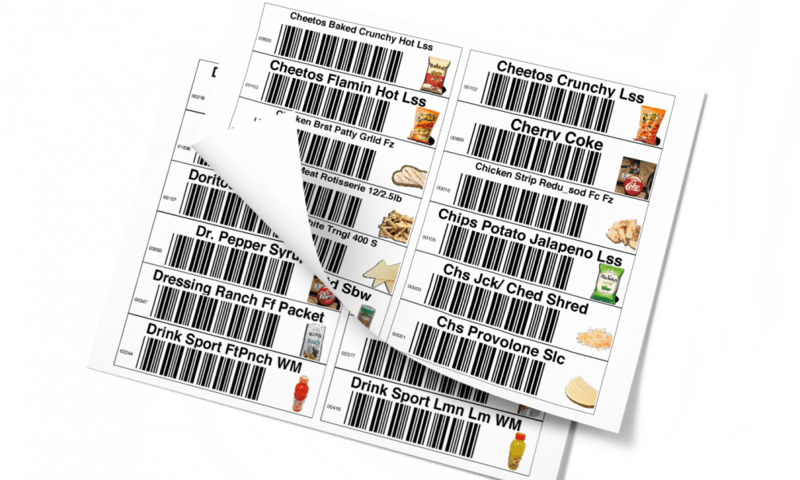 The app even generates barcode sheets you can print out to organize your back room. 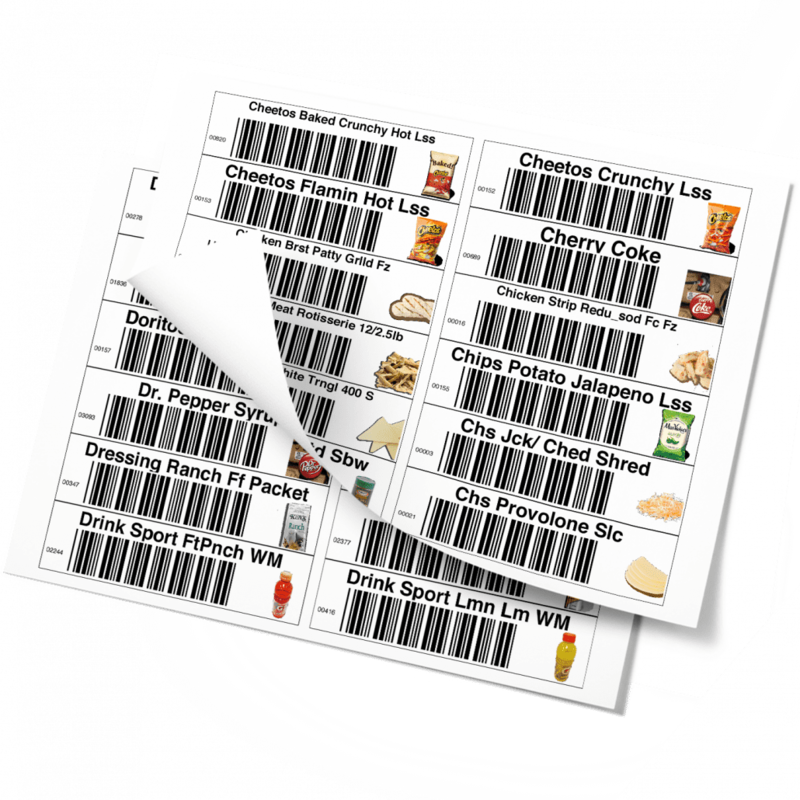 GoVentory is compatible with GS1-128 barcodes and identifies expired products and shelf life during a scan. Simplified prepping for a simplified inventory. 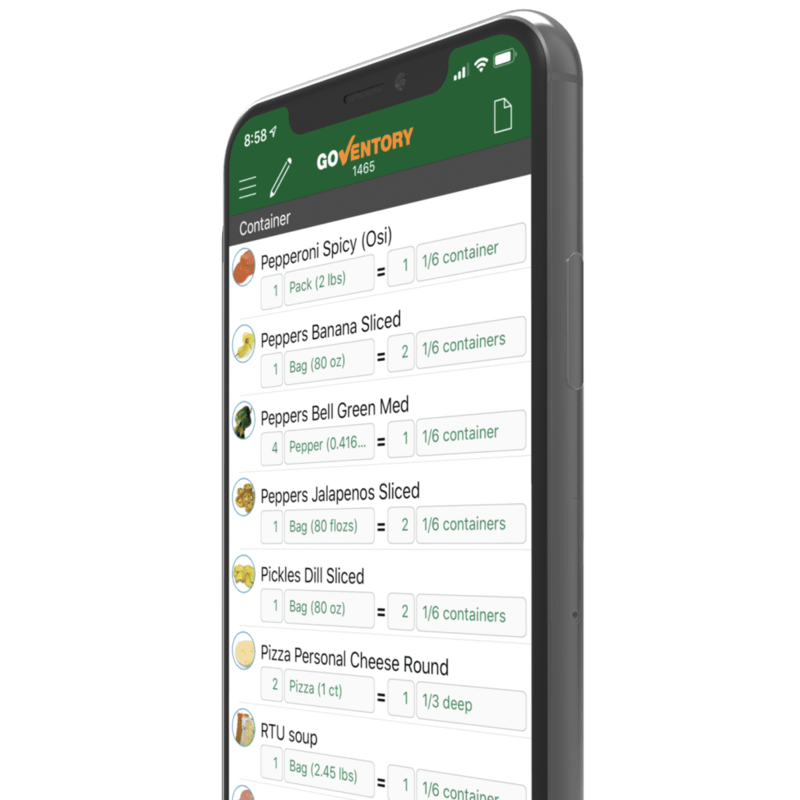 GoVentory provides customizable prepping conversions for sauces, veggies, meats, or any loose items you have in your restaurant. 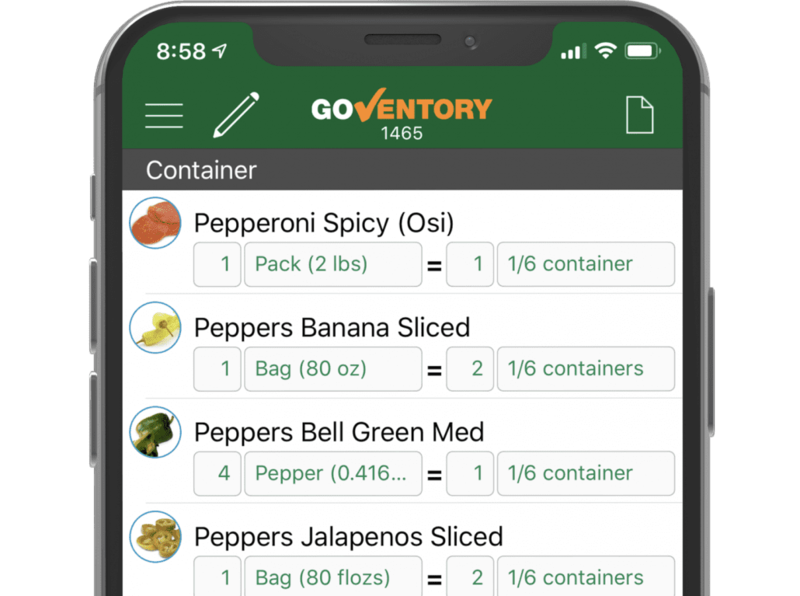 Define your conversions in the app and taking inventory on partial containers becomes a breeze. Toss that scale, because there’s no more weighing or complicated formulas. Quality issues? We’re your wingman. Did those fresh avocados you were expecting turn out to be a rotten surprise? No need to pick up the phone. 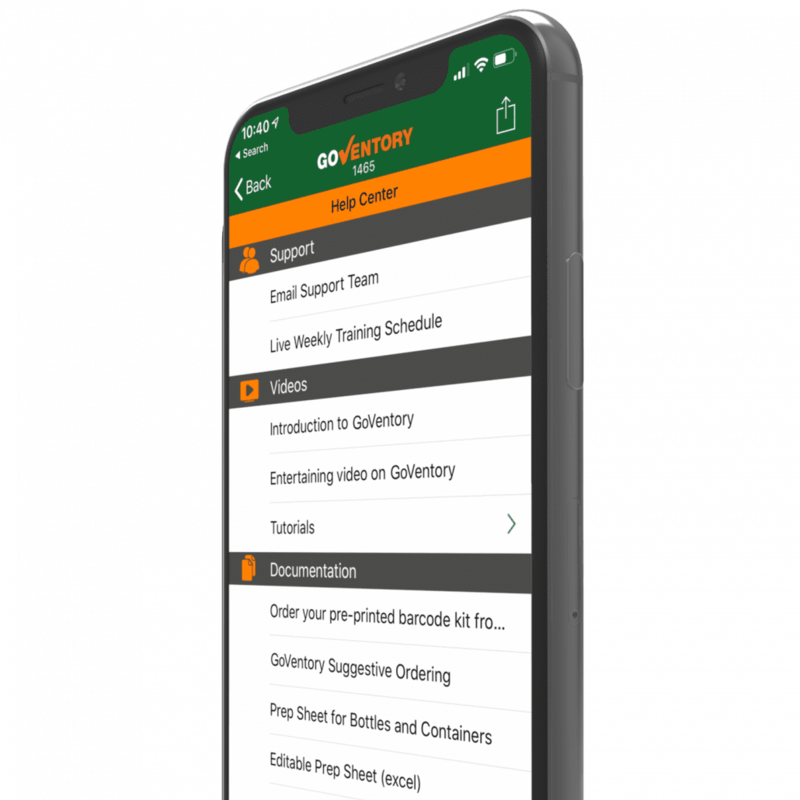 GoVentory will walk you through and submit a quality complaint in under three minutes since the app is integrated with your DCs and headquarters. Notifications any way you want them. 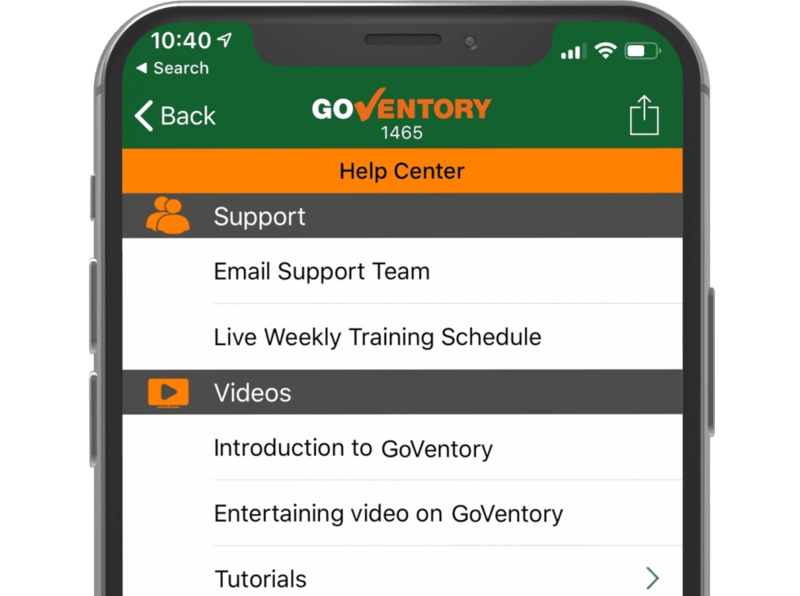 GoVentory features our fully customizable notification system. 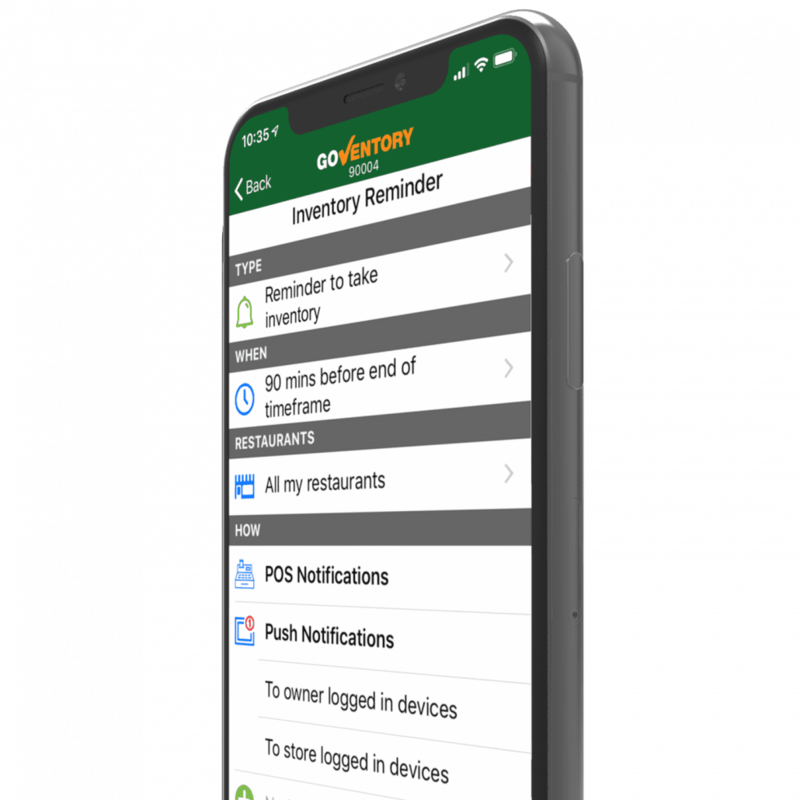 Simply choose what you want to trigger a notification, like an incomplete inventory or missed DC order. Then choose how you want to be notified, whether it’s a push notification, text, email, or all of the above. 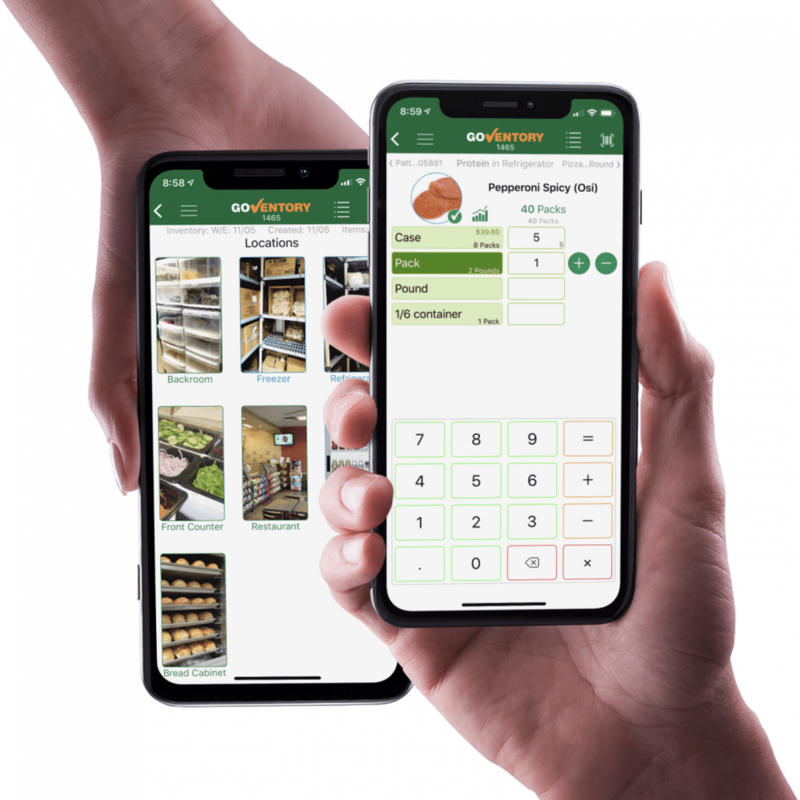 View, edit, and export right from your POS. 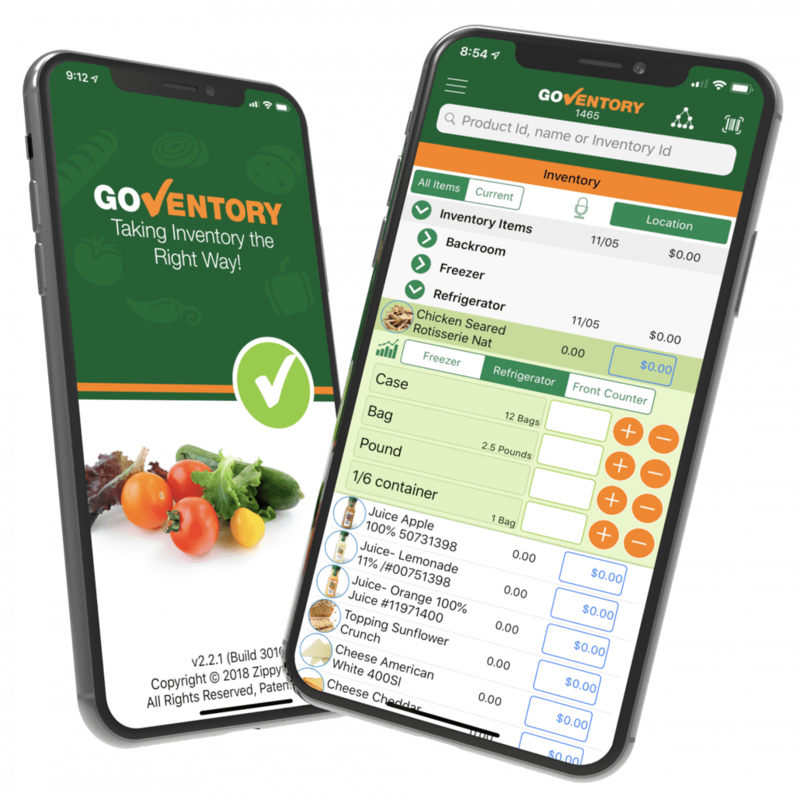 GoVentory integrates right with your restaurant’s POS and allows your POS to receive your exported inventory with the press of a single button. There’s no complicated cross-device process, just a seamless transition of data with no effort on your end. No need to manually add new products, update item numbers, and keep track of changes. The ZippyYum team manages and pushes out all content updates to GoVentory so all you have to worry about is actually doing your inventory. It’s got your name written all over it. 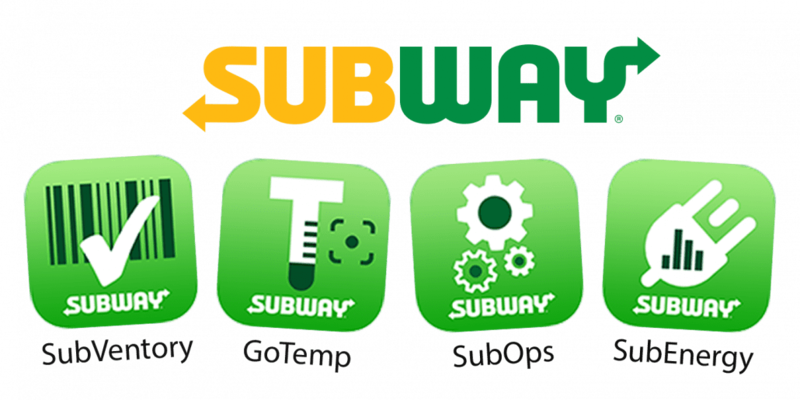 All ZippyYum apps are available as our “Go”-branded apps or can be customized with your brand’s name. 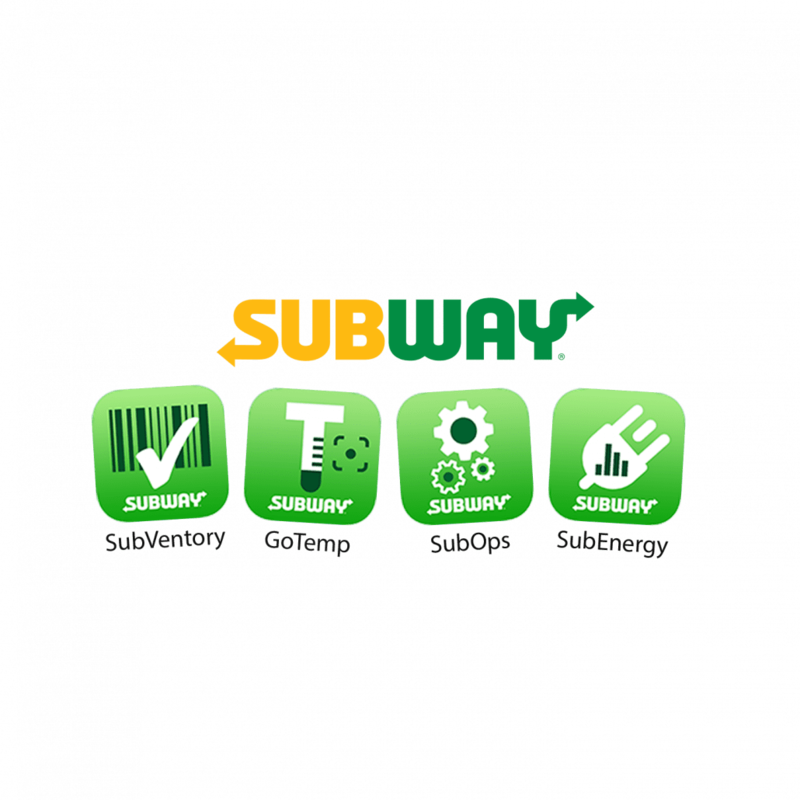 While all of our apps will be customized for each client and restaurant, re-branding truly provides that special touch for franchisee buy-in. English, Spanish, German, French, Italian, Turkish, Dutch, Japanese, Simplified Chinese, Portuguese, Polish, French Canadian, Swedish, Korean (coming soon), and Thai (coming soon). Just a phone call, chat, or email away. If our knowledge base, video tutorials, and help documents aren’t enough, support from a live human being is always free and always available for all ZippyYum products 24/7/365.